The governor of South Korea’s Jeju island is maintaining his push to turn the autonomous region into a blockchain and initial coin offering (ICO) free zone. On Thursday, South Korean provincial governors hosted a meeting with President Moon Jae-in to discuss job creation in the country. 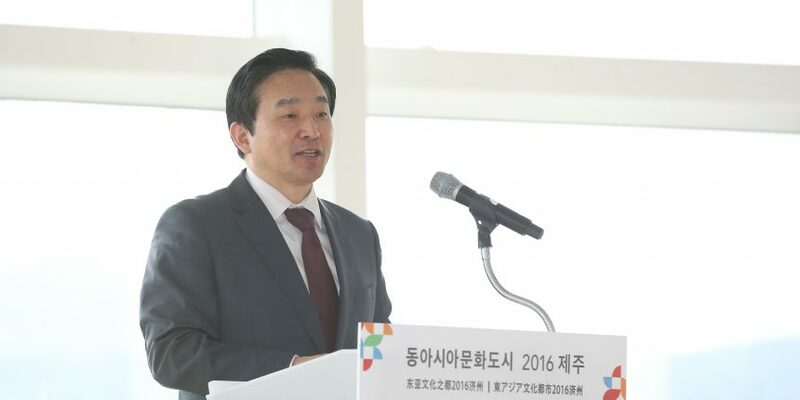 In his remarks, Governor Won Hee-ryong of the Jeju province proposed to the president that the island should be designated as a special hub for blockchain to allow companies to conduct ICOs, as CoinDesk Korea reports. Won argued that, by doing so, the region would create at least 1,600 more jobs by attracting both domestic and foreign companies wishing to launch ICOs – especially those whose home jurisdictions prohibit token sale fundraising, such as China. Established as a self-governing region in the early 2000s, Jeju island enjoys a high level of administrative autonomy, such as adopting a visa-free policy in a bid to boost the local economy and technological development. Won’s proposal follows his previous address on the topic during a meeting with high-level financial regulators and lawmakers in the country in mid-August. It also comes as the cryptocurrency industry in South Korea is seeing an increasing number of efforts to alleviate regulatory obstacles to ICOs following an outright ban announced by the country’s financial watchdog last year. On Wednesday, Jung Byung-kuka, a South Korean lawmaker hosted an industry forum attended by lawyers and regulators to discuss how to form guidelines that would allow ICOs, also as reported by CoinDesk Korea. Additionally, the National Assembly, South Korea’s legislative arm, officially proposed legislation in May, that would allow ICOs to be conducted as long as investor protections are included.